To keep this recipe fun and portable (rather than just a parfait! ), you'll need push pop molds, which are sold at most restaurant supply stores or you can buy them online. 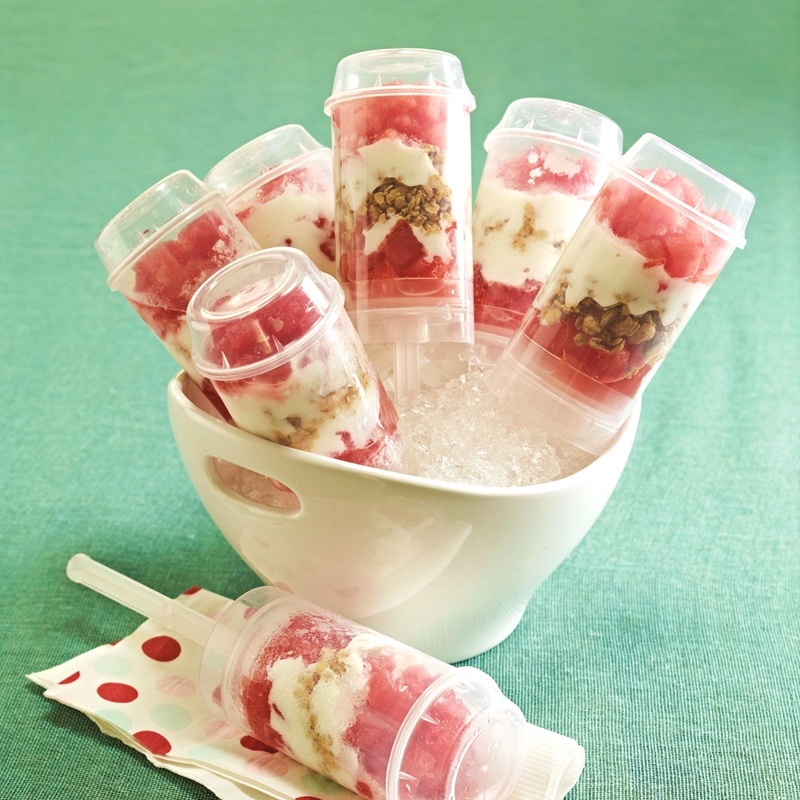 Layer the fruit, yogurt, and granola in the push pop molds until just over half full. Add another layer of yogurt and finish with more fruit. Freeze the push pop molds. Store in the freezer and pop one out when a sweet healthy snack or breakfast is needed!